Here is the thing that my adult (sort of), nutritionally-minded brain is thinking about these days: why do we always make sweet things sweeter? Marshmallow-topped sweet potatoes, maple syrup roasted squash, sweet pickled beets, does this really make sense? 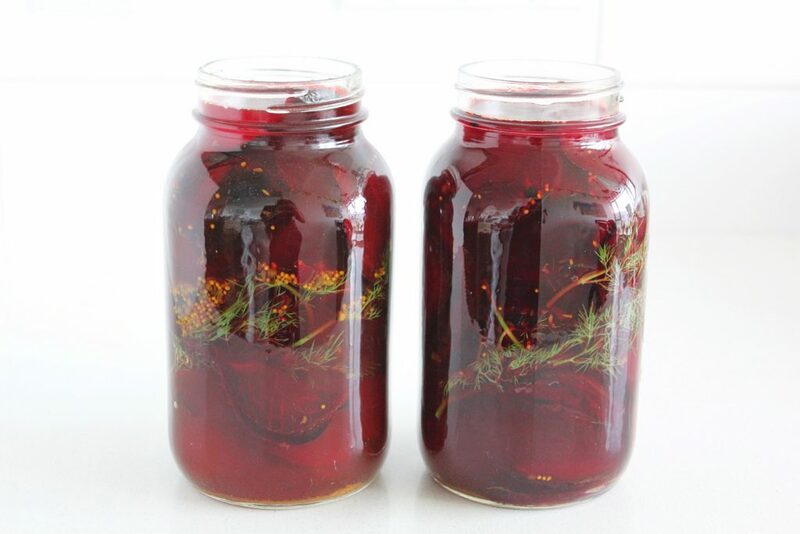 Obviously it does to many people, or those concepts wouldn’t exist, but I thought it might be a good idea to take already sweet beets and balance them out by making them into dill pickles (just like classic cucumber pickles). And guess what? They’re really good! Also! 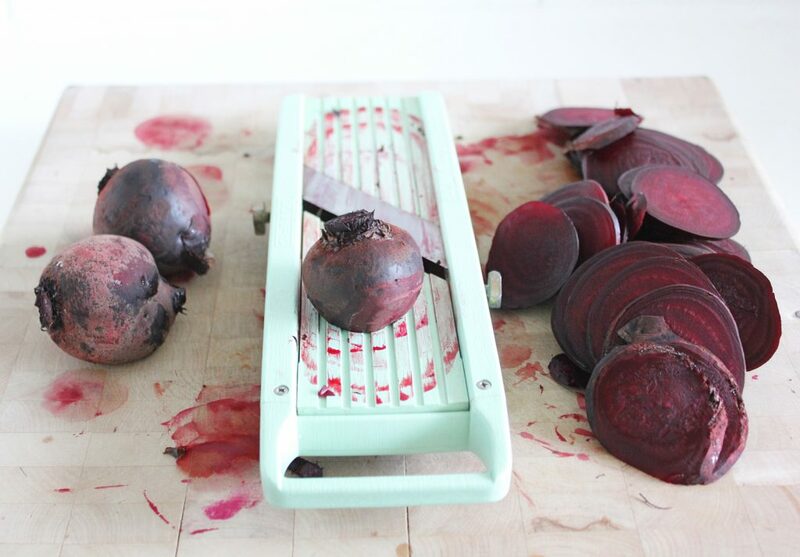 How many times have you bought beets and just let them roll around in your veg drawer until there was visible mold on them and then finally throw them into your compost with a sigh of relief at not having to think about them any more. Me too. I do love them, but they require some love and attention to bring them to life and aren’t always the first vegetable I gravitate towards. With a little effort though, they become extremely convenient and truly interesting and delicious in a non-dirt way. Don’t peel them (nutrients/lazy), just roast them and slice them into the shapes you think you’ll get the most use out of (dice them up for salad, wedges for snacking on/dipping, sliced for sandwiches/wraps). Pack them into jars with some fresh friends (dill, garlic, chili peppers if you’re married to my husband) and pour some raw apple cider vinegar infused with pickling spices over top. It’s really, shockingly easy. No canning process (which is for some reason hard to do if you’re slightly dyslexic) just put them in your fridge, eat them, feel your blood get big and strong, your salads get punchy and red, your crudités platter get sassy and interesting and your reluctant feelings towards beets change to true love (or at least happy confusion). The best part is that everything in that jar is usable. The vinegar is still raw apple cider vinegar only now it’s purple. 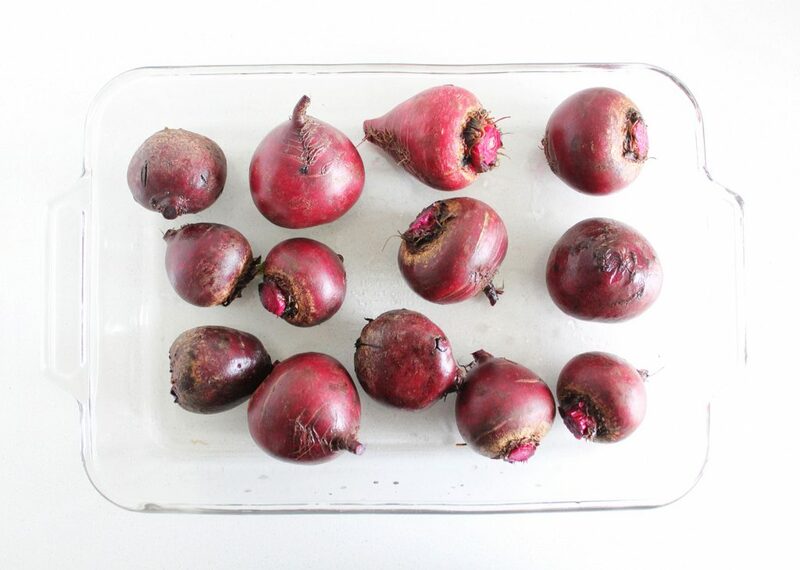 Use it anywhere that requires vinegar (salad dressing, hummus, this cream cheese replacement), and add all of that nutrient-rich purple pigment to unsuspecting dishes. 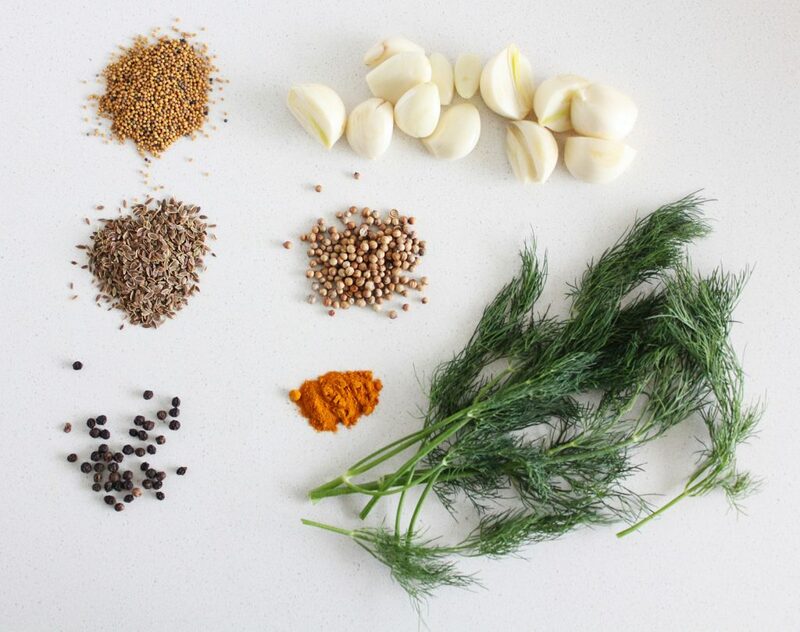 The pickled garlic and dill are still good too; add them to dressings or dips. 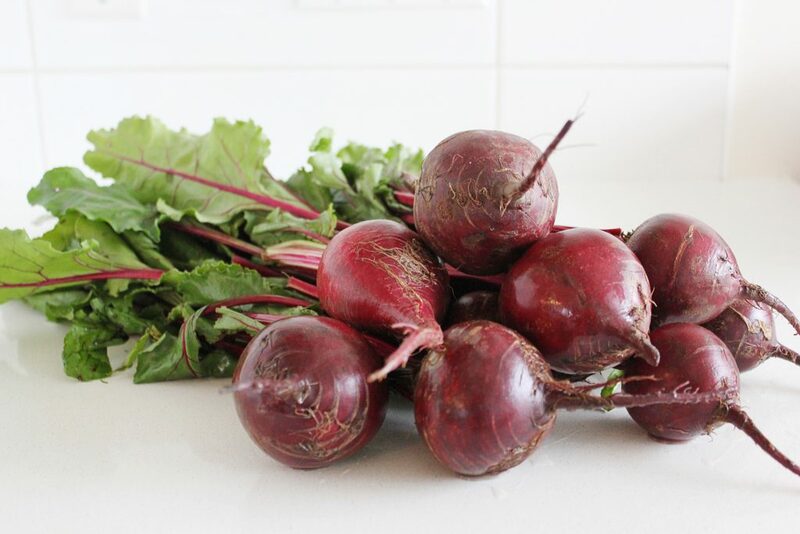 The beets are good just plain, or sliced up into salads (so good when you think you don’t have any salad veg! 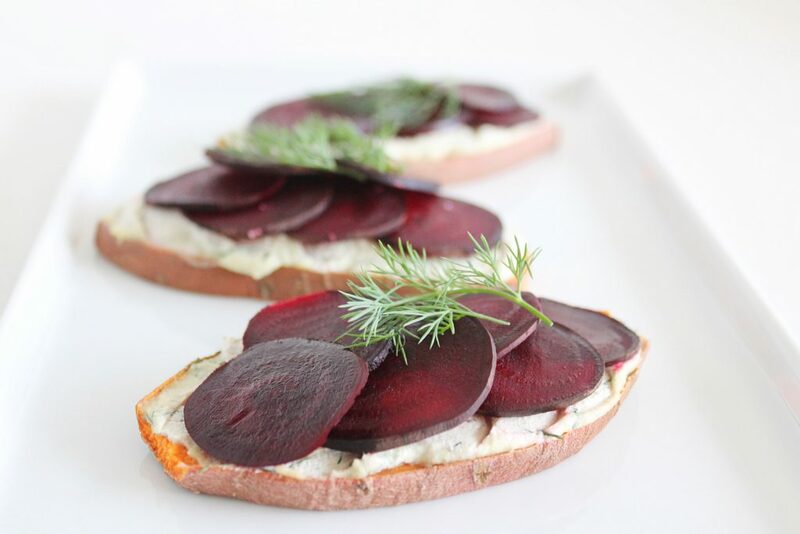 ), intermingled within the layers of our Avocado Caprese Salad, fanned out on Sweet Potato Toast (with this Lemon Dill Spread), scattered on top of hummus (or puréed into), to add some colour and vibrance to a nut-based cheese platter, or to top off a rich Mushroom & Lentil Veggie Burger. 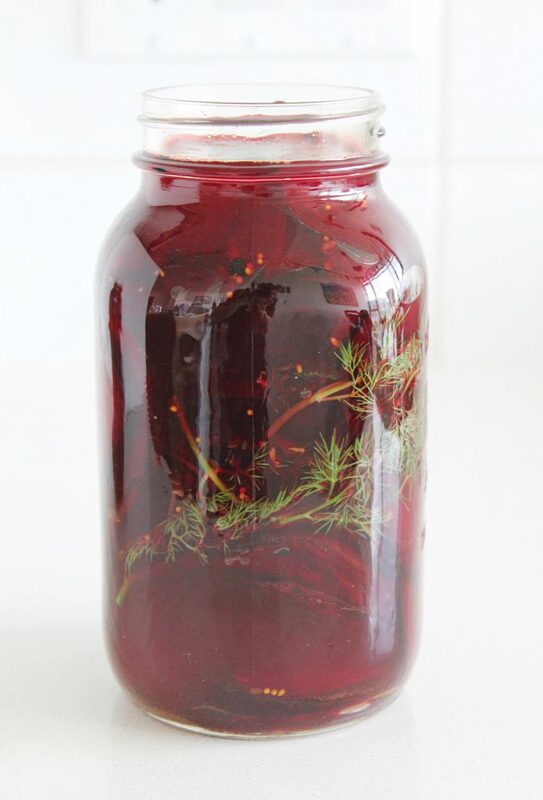 I still think you should ferment your veggies (if you haven’t yet tried it, this Beet/Cabbage Sauerkraut is a good pace to start) but this is a nice change, and a fun and healthy weekend food adventure that you don’t have to wait four weeks to enjoy. 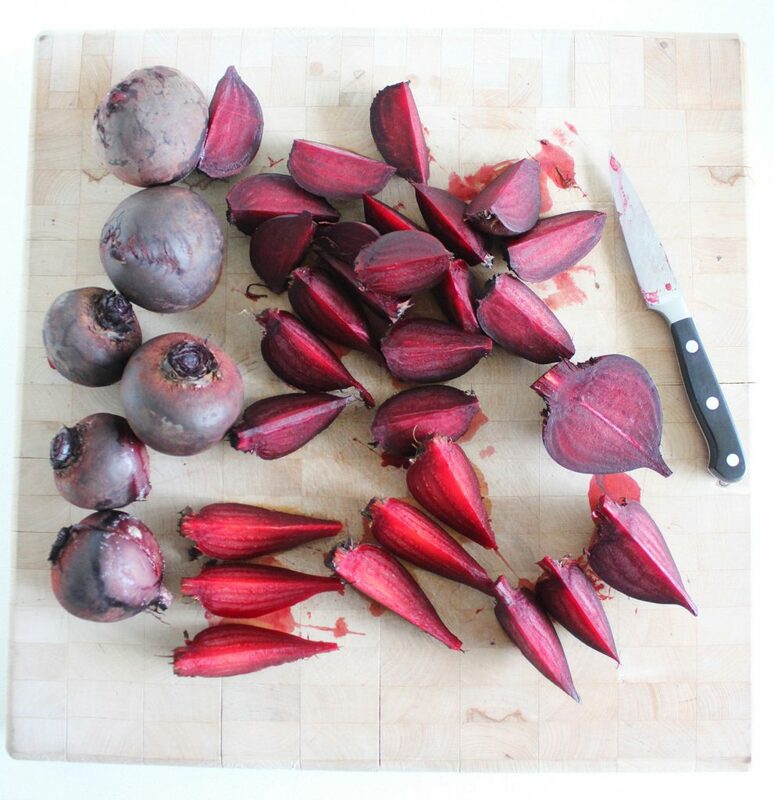 Trim the tops off of the beets (reserve them for another use -juicing, steaming, adding to soup etc) and wash the beets well (don't peel them). Meanwhile, in a small pot or pan bring to a simmer the dry spices, salt and as much vinegar as it takes to cover the bottom of the pot/pan. Simmer for a few minutes (don't let it boil dry), make sure the salt has dissolved and add to a measuring cup/pitcher with the rest of the vinegar (so that it's ready to pour). 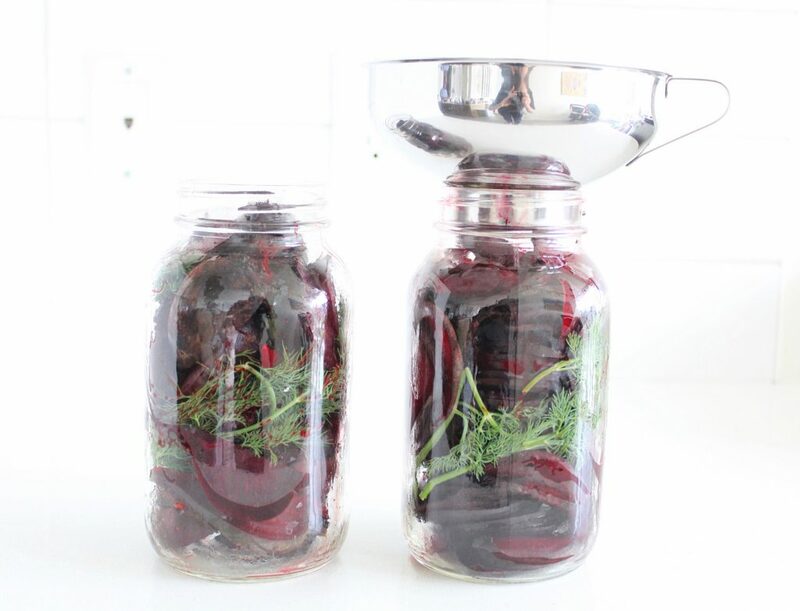 Once the beets are cooked and have cooled enough to touch, cut them into wedges, dice them or slice them and pack them into some mason jars (you will fill 3-4 of the 1 liter/quart ones) with the fresh dill and garlic cloves. Store in your fridge and let pickle at least overnight before using. These keep for several weeks in your fridge. Make sure use use the pickley garlic in the jars too (anywhere you would use fresh garlic) and the pickling vinegar too, in dressings and dips. Thank you for your article Dana! I have been doing a ton of research on fermenting foods before jumping into it, and I am surprised at the wide variety of different things people throw into their jars and ferment. I think my first shot will be sauerkraut and pickles, but I think beets might end up towards the top of my list right after that right next to pickled onions! 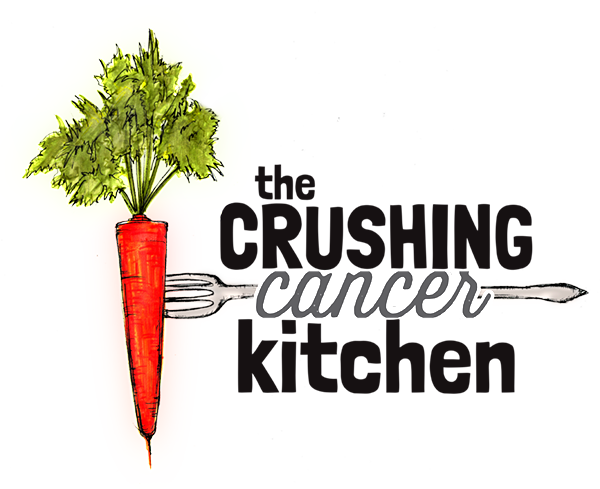 Thank you for making the recipe easy to follow and informative. How long have you been fermenting? How nice, Mer, I’m growing up in farm country in my next life :) I have that giant canning pot and I agree, nice to have a low maintenance option. How fun! 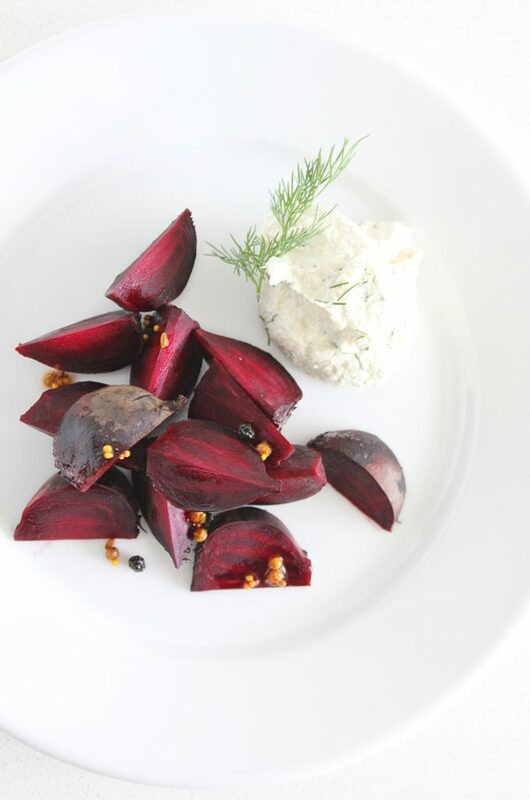 Pickled beets are one of those foods that bring back wonderful memories of childhood preserves. I think pickled beets and jarred peaches are my faves out of everything we made. 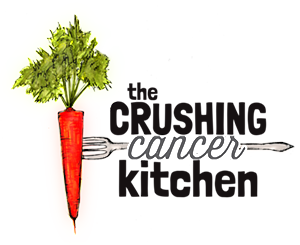 (grew up in farm country where we spent our summers preserving our garden produce for winter.) Now I live in condo-country with a chic glass stovetop that is too fragile to hold the weight of a large canning pot. 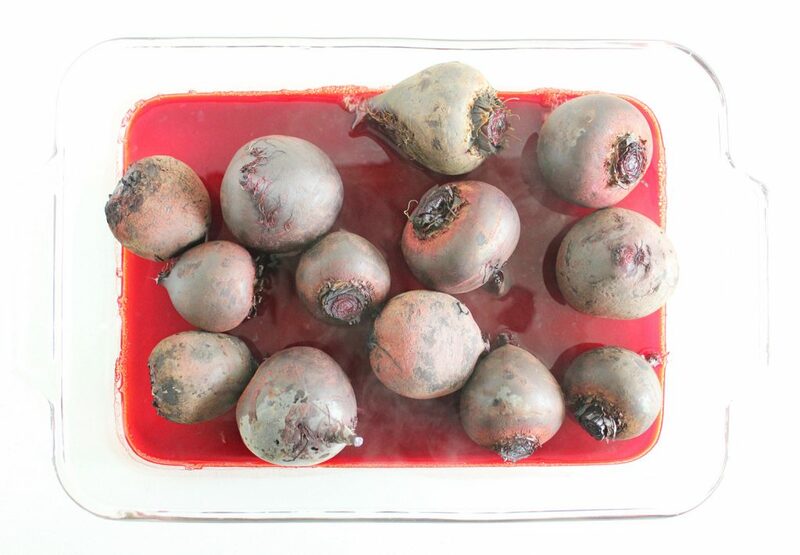 So how fabulous is it to have a recipe for pickled beets that just slide into the fridge are ready to eat.